Happy Easter Holidays. The galleries will be closed Thursday & Friday. Come visit us on Saturday from 12.00 – 16.00. Opening hours are as usual next week: Wed – Fri 12 – 18, Saturday 12 – 16. We currently show the exhibitions Misanthrope by Richard Colman (V1 Gallery), Otherworld by Troels Carlsen (in Eighteen) and the group exhibition Stay Gold with the American artists Barry McGee, Todd James, Geoff McFetridge and Thomas Campbell (V1 Gallery). 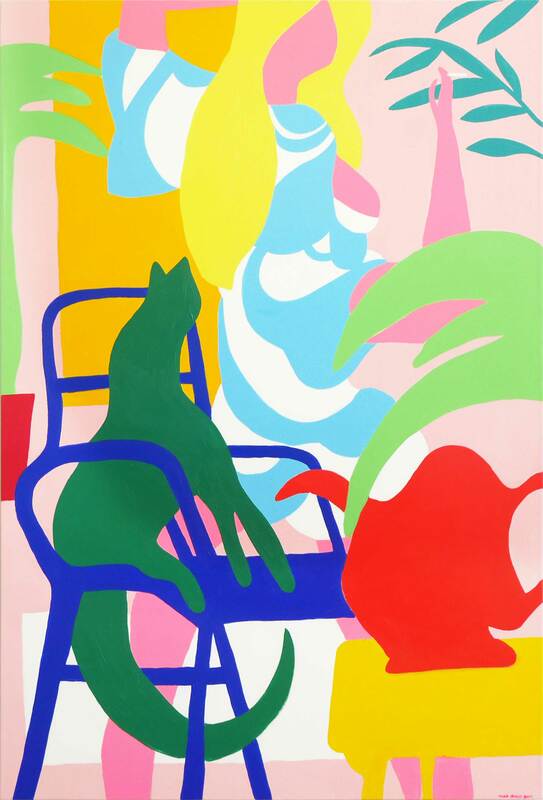 Easter colours from Todd James: Glenda The Good Witch, 2014. Acrylic on canvas, 2014. 153 x 101,5 cm.